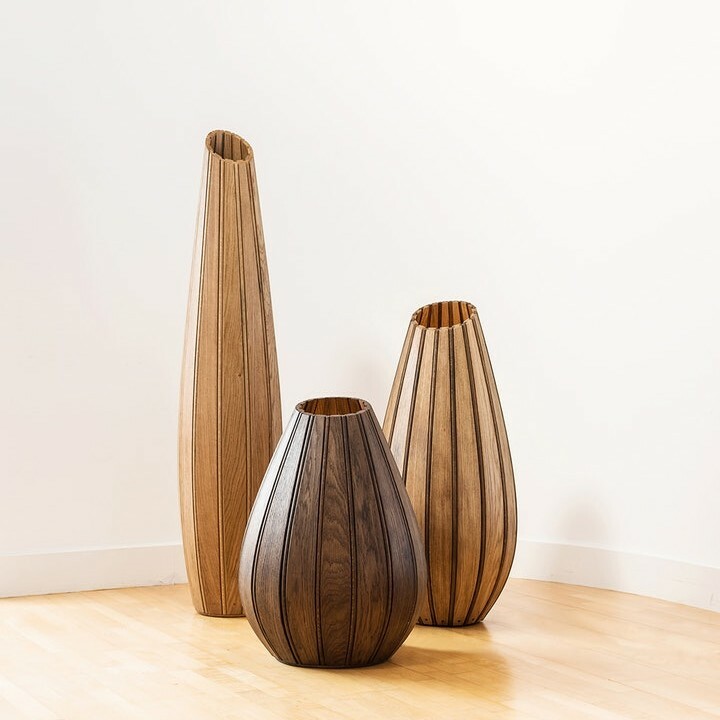 Ruth Mae turns delicate and sculptural vessels using hardwoods that have been sourced locally on Arran or mainland Scotland. She works mainly with holly and cherry, although she uses other timbers such as ash and sycamore for more functional bowls. Most of her material comes from windblown timber destined for landfill or firewood. The line and form of the bowl or vessel is her main focus when designing and she always aims for clarity, simplicity and gracefulness. 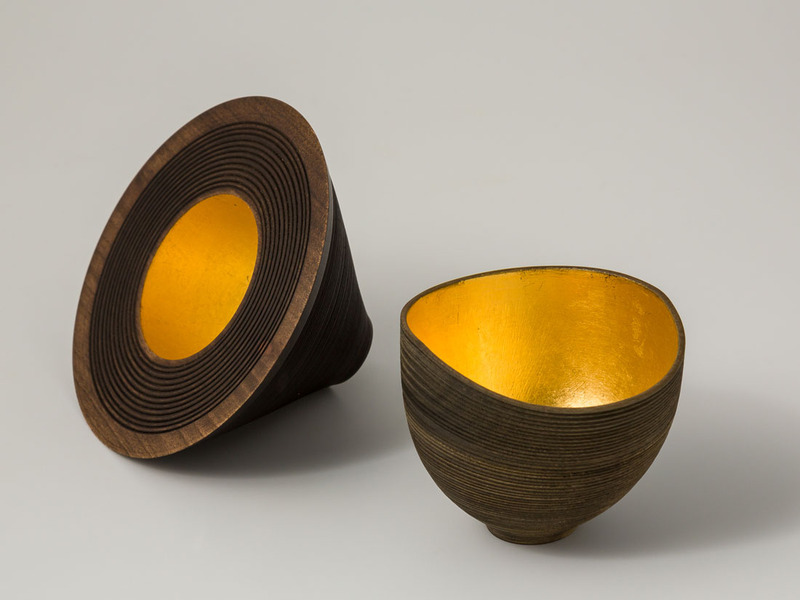 She is inspired by objects which evoke a sense of stillness and intends to bring this feeling to many of her objects. The fragile yet strong, sometimes porcelain-like appearance and texture, as well as the blue grey hues of sea and rocks prevalent in her coastal environment are also often reflected in the vessels. 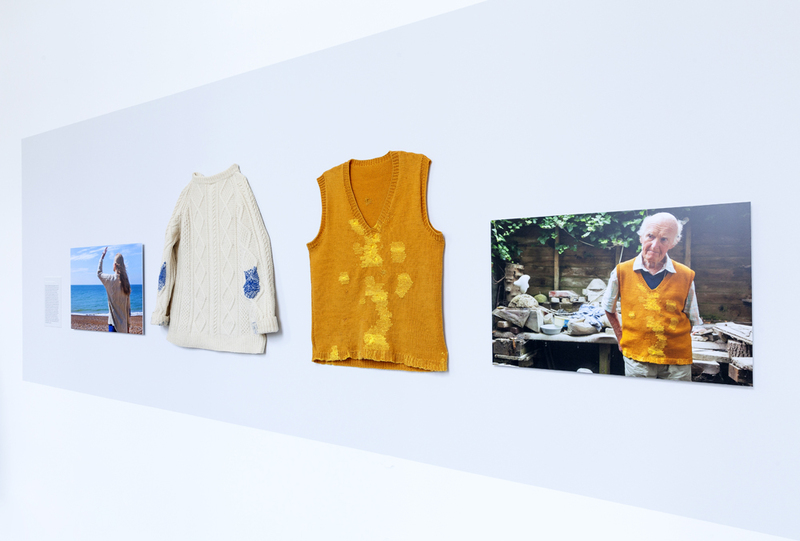 The exhibition explores traditional hand craft skills and modern techniques juxtaposed with some antique works. HARVEST focuses on the environmental tipping point of plastic pollution in the oceans and seas. 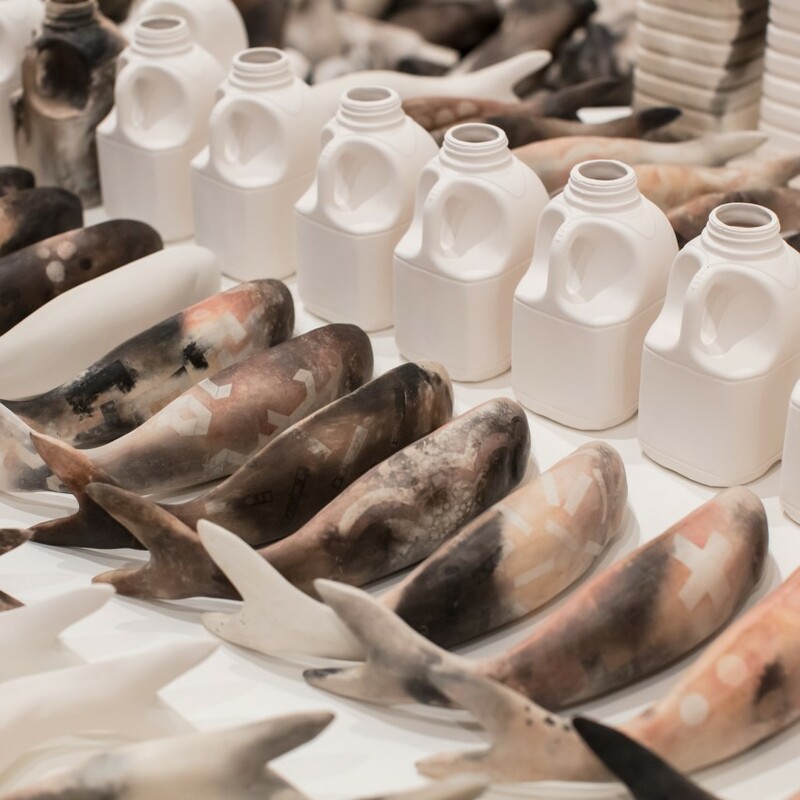 This work is an installation made entirely from clay (press-molded, slip-cast and smoke-fired) that addresses the global issue of plastic pollution in the oceans. 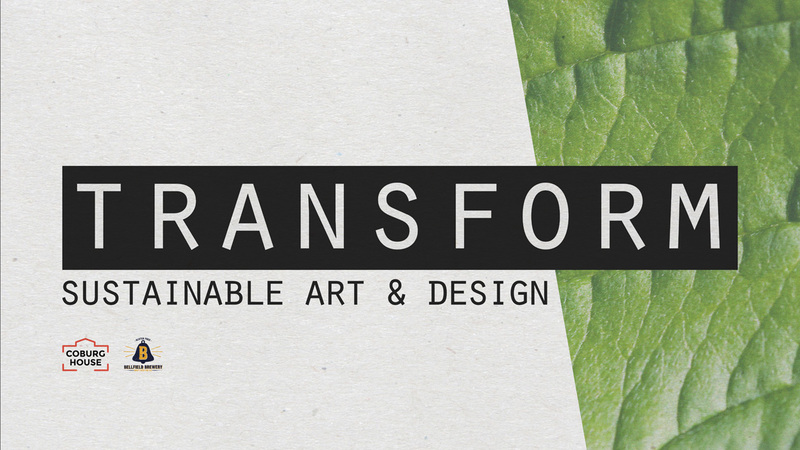 An exhibition of new work by 9 artists and designers working with repurposed and recycled materials.